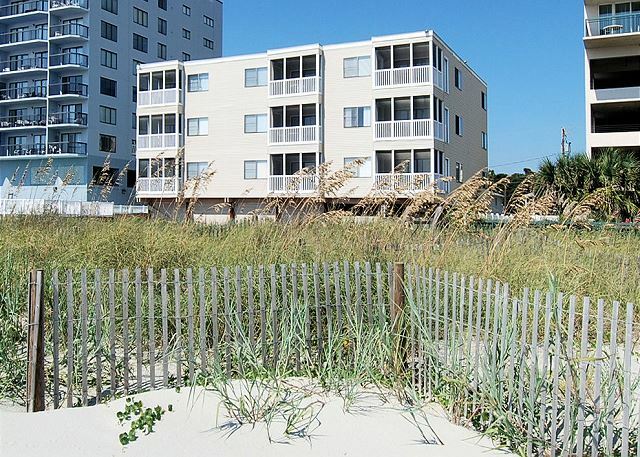 Palmetto Dunes 103 is an intimate three story condo complex located in the Crescent Beach section of North Myrtle Beach. 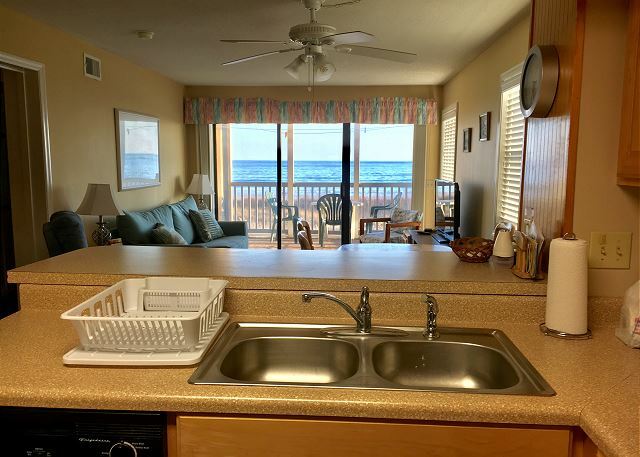 This spacious oceanfront condo offers three bedrooms and two and one half bathrooms. 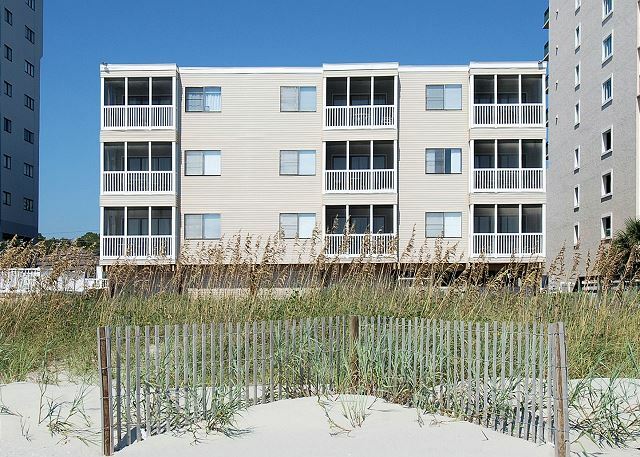 This condo is located on the first floor of a raised beach building, so you will have one set of stairs to reach the condo. This also gives you better views of the beach! 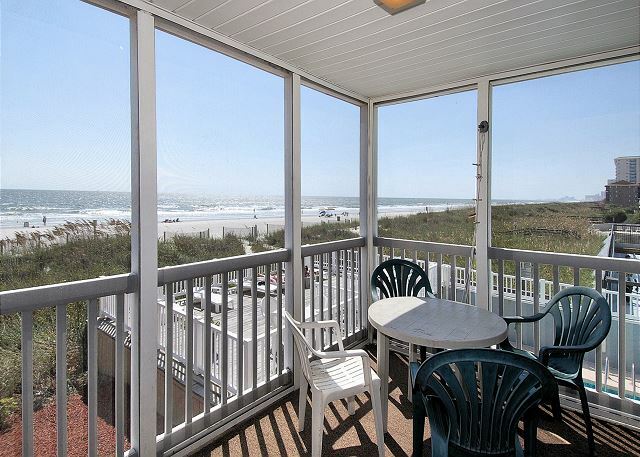 This North Myrtle Beach condo offers spectacular views from the private screened in balcony. 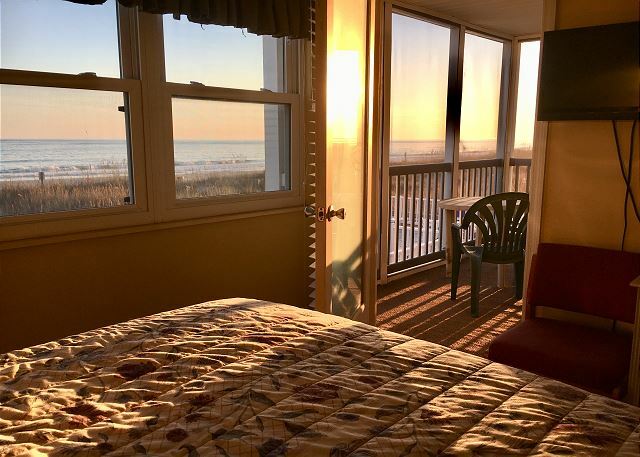 The master bedroom has a Queen size bed, private restroom, and a door to the oceanfront balcony. 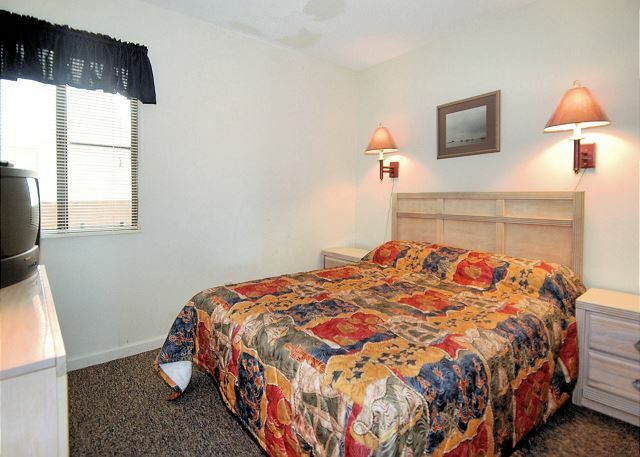 The second guest room features a TV for late night viewing and a Queen size bed. 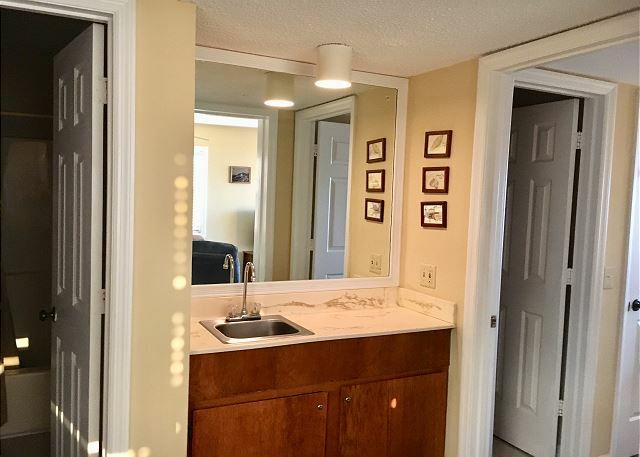 There is a hallway, full size restroom next to the bedroom. 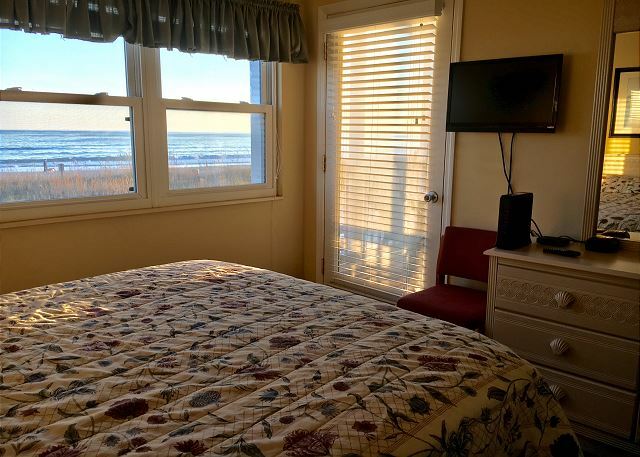 The third bedroom is bright and welcoming with beach views form the window, two twin beds and a connecting half restroom. 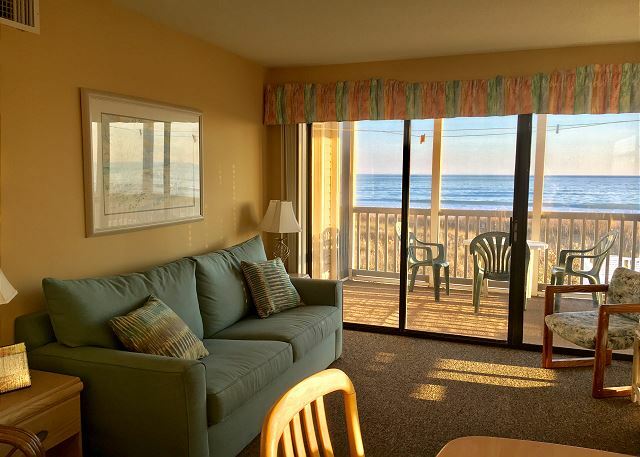 The comfortable living room offers access to the oceanfront balcony, TV, DVD and Wireless Internet.! 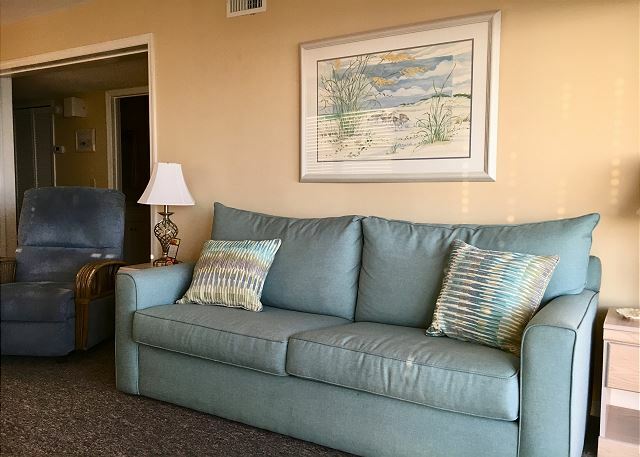 The living room also features a sleeper sofa, perfect for extra sleeping arrangements. 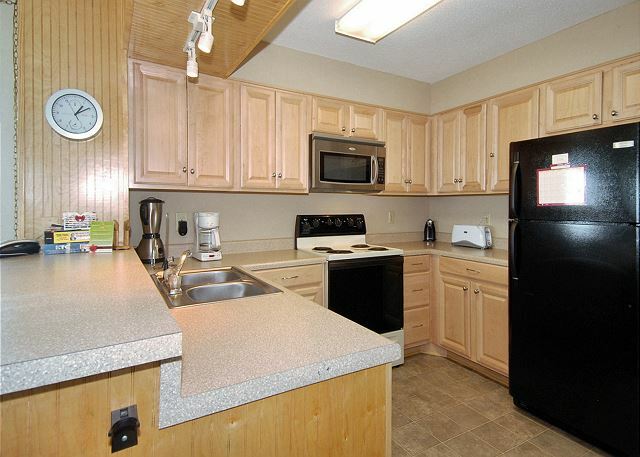 Palmetto Dunes also has a full size kitchen perfect for whipping up breakfast before you head downstairs to the beach. 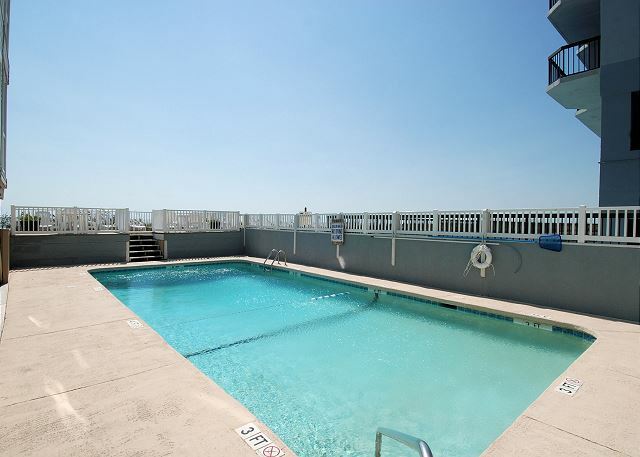 Guests of Palm Dunes will love the sparkling outdoor swimming pool and sun deck! 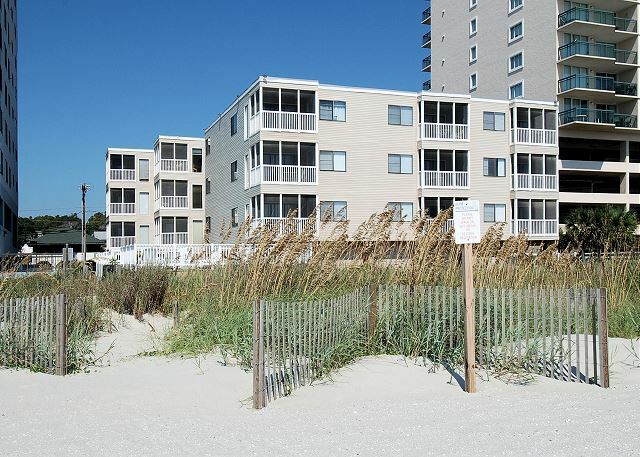 After you enjoy the beach or the community pool, come inside and put your beach towels right into the washer & dryer. Guests are allowed 2 parking passes only. Palmetto Dunes does not have any overflow parking. 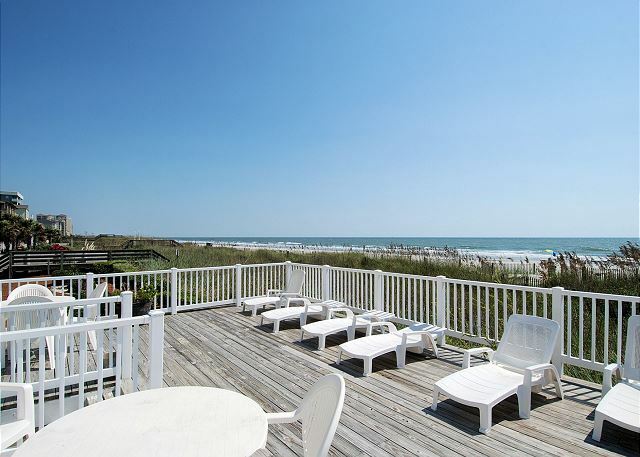 Palmetto Dunes is a non smoking property that does not allow pets, motorcycles, or trailers. 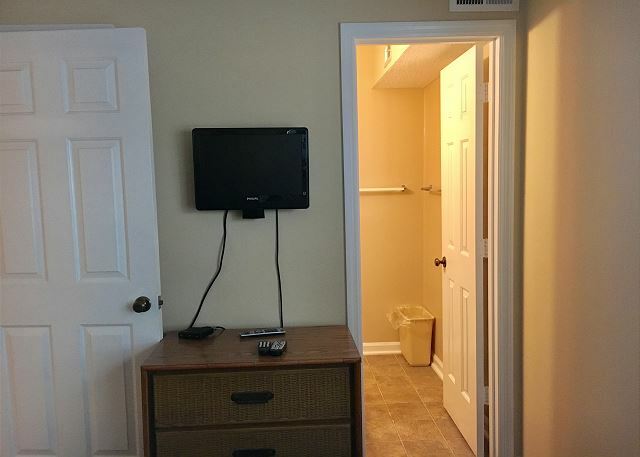 This property is non smoking and rents to guests over the age of 25 only. If you plan to use the sleeper sofa you will need to bring sheets, towels, pillows, and blankets. We appreciate your feedback and hope to have the opportunity to welcome you for another stay with us soon.The Homeowners Association did replace some siding and did work on the balconies this fall. Thanks again! Excellent Rental! Will definitely rent again! Nice unit, except for a good nights sleep! Thank you for your review and are happy you enjoyed your overall stay with us. 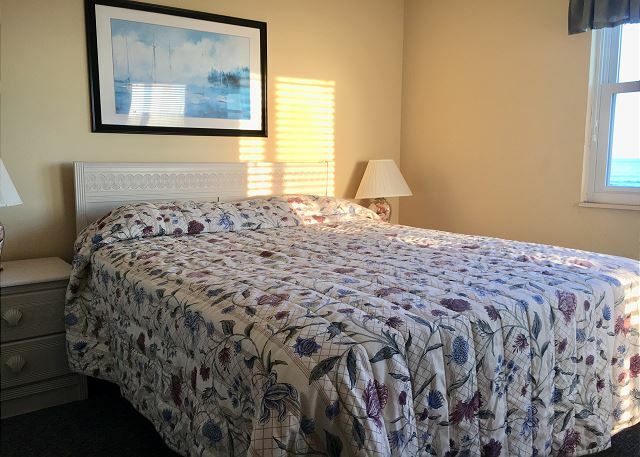 Both Queen beds have a 2 inch memory foam mattress topper on each bed, so the beds are soft. If you are accustomed to a firm mattress, we do apologize. If you had the things fixed that I mentioned in my exit letter the next guest should have a good stay. Hi Kenneth, Thank you for your review. The GFI outlet in the kitchen was replaced, and everything is working great. Thank you for letting us know. I would make check in sooner or keep office open longer. It was a unexpected hurdle for us and if we were not in the right place at the right time to help another family and direct them to your office just before you closed they would have had to do something else. Also check out was a little early. Otherwise everything was great thanks. Thank you for your review. We do have a 10 am check out time and a 4pm check in time, to ensure our property is in impeccable condition for our guests. We do call our guests as soon as the property is ready and available for check in, if before 4pm. 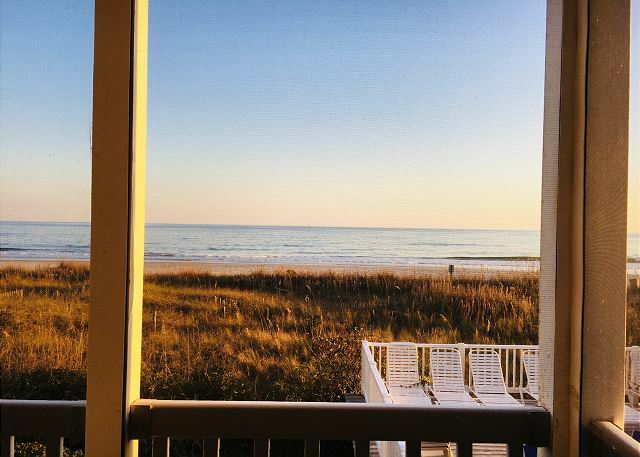 Our office is located 4 blocks from Palmetto Dunes, so we are very close! We also provide lock box information for late arrivals upon booking, the week before your stay and the day of arrival. We are happy to accommodate late check ins, so sorry for the misunderstanding. We look forward to welcoming you for another stay with us soon! We love to stay here. The location is wonderful. Not too busy, but access to the places one wants to go. The condo is well supplied. It is showing it's age though. For our family, it is just what we need. 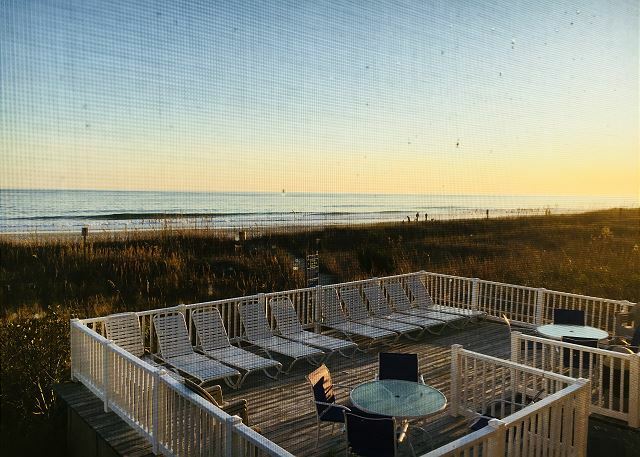 Great place right on the beach! Thank you for your kind words, Kisha! We are delighted by your comments and are glad our attention to detail impressed you. We look forward to welcoming you for another stay with us soon! The view was incredible. The kitchen was well stocked. Linen service was good and we had the plenty of towels. Sliding door was hard to open/close. The door from master to patio did not open or unlock. Living room and dinning furniture could use updating. Couch was only piece we were leery of. 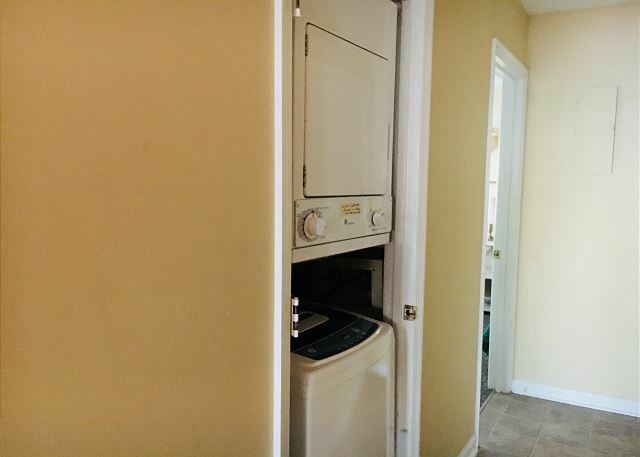 Having a washer dryer was a great bonus. Beach acces and the pool were highlights. Our family had a great time staying at this condo. 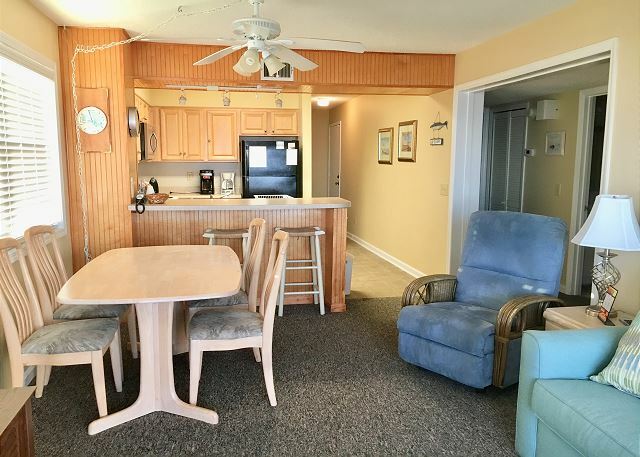 The location is great and the condo itself has ample room for 6-8 guests. Very pleased and would recommend. Erik we will look to get new pictures, thank you for the suggestion. We would be happy to have you as our guest anytime! Good place to stay, has potential to be great!! 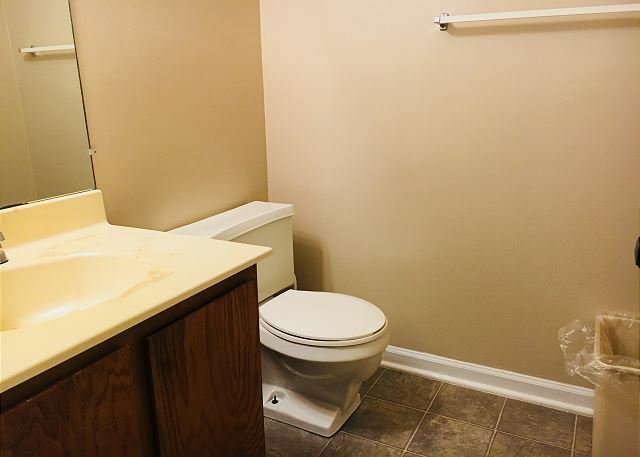 Overall, I was pleased with the property. The location is amazing! The property itself is a nice property. With a few upgrades I would never want to stay anywhere else. Property was clean upon arrival. The were however a few negatives. 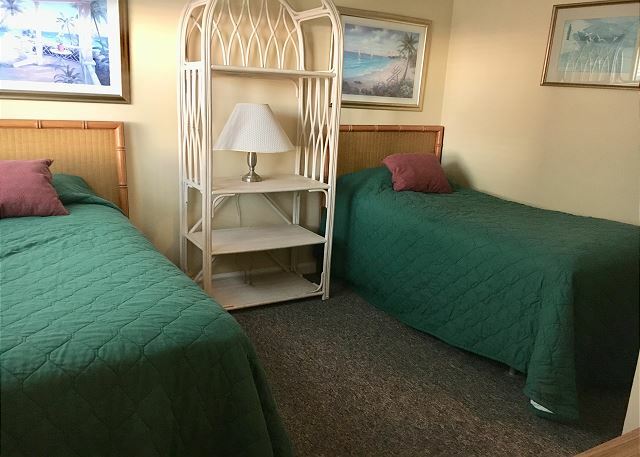 The mattresses in the two large rooms could be much better, feel like very cheap and old mattresses and are not very comfortable at all! The headboard on the bed in room 2 was broken. One of the bedframes in room 3 was duct taped together. And the couch bed was falling apart. 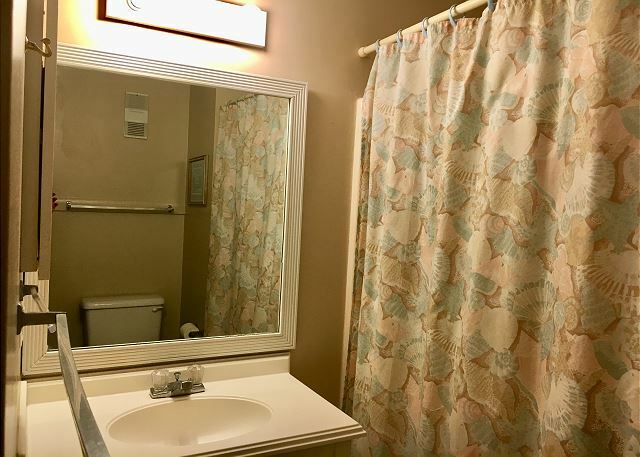 This might sound bad, but if these things were upgraded, this would be the best place to book for family vacation, the price is great, the location is fantastic, and the property itself is overall nice. We loved staying at Palm Dunes 103. 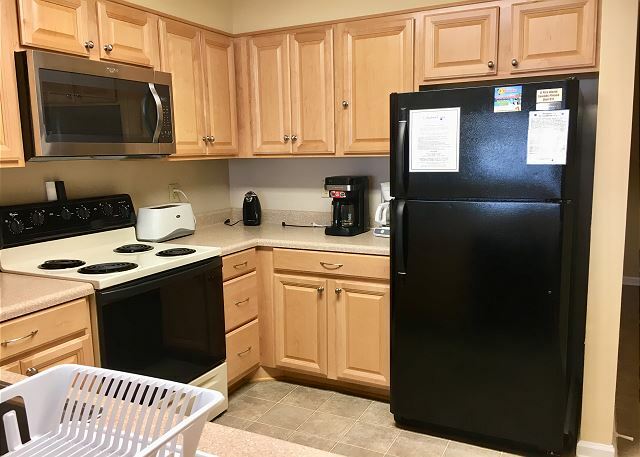 The condo was clean, and the kitchen was well furnished. There is no wifi or grilling facilities, but we managed without either. We had a great time! Thank you for choosing Palm Dunes & Southern Coast Vacations! We hope to see you again on your next trip!! We loved this condo. The view was awsome. The price was great. Definitely would stay here again. This place was awesome. The condo is well-kept. 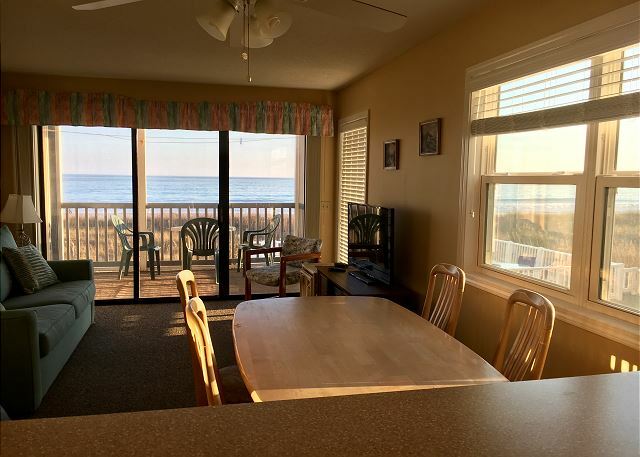 I loved the master bedroom, a door led out to a screened-in balcony, which looked over the pool, and being oceanfront, the beautiful Atlantic. Sitting on the balcony, the sound of the waves was so relaxing. If not careful, you will fall asleep. There's a washer and dryer which was great! The well-stocked kitchen was a plus. Even if you don't like to cook, having a full kitchen is great. I enjoyed making breakfast and then headed out the slider to the balcony to enjoy the sounds and scenery. 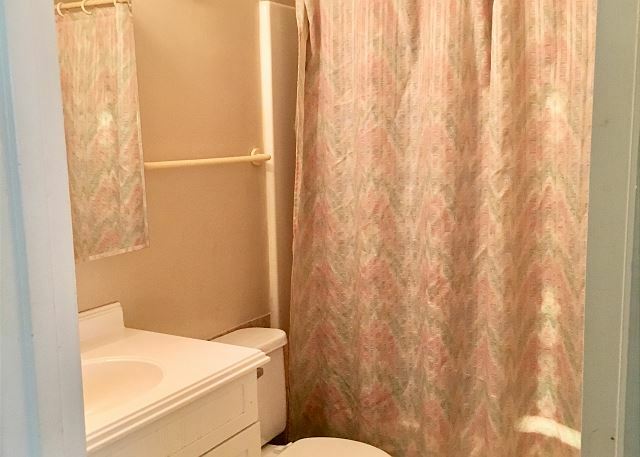 There are two full and 1/2 baths. Made getting ready quite easy. The view is absolutely gorgeous. 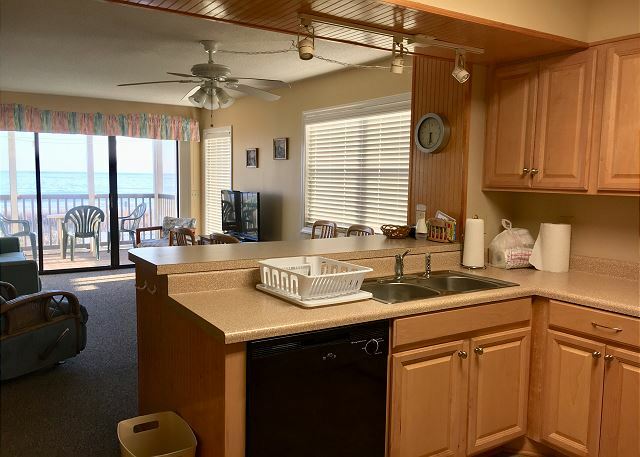 This oceanfront condo's location is amazing. 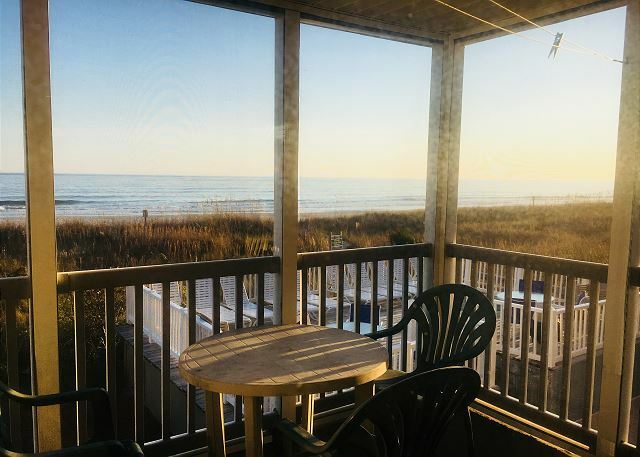 So close to everything-restaurants, shopping, and of course, the ocean! I had one issue when I arrived, though no fault of the management company or the owner. I was less than kind. Those I talked to, I was nasty. They maintained professionalism and the owner of the condo was very accommodating and apologetic for something they had control over. Mother nature had to take credit. Scaffolding was up because they were replacing a few pieces of siding due to a storm. I snapped. Not a moment was I treated with disrespect and I deserved to be hung up on. I would recommend this location to couples, families, or even a get away for one. I would visit this condo again without hesitation. Amazing sunsets too! You will not be sorry if you visit this location. 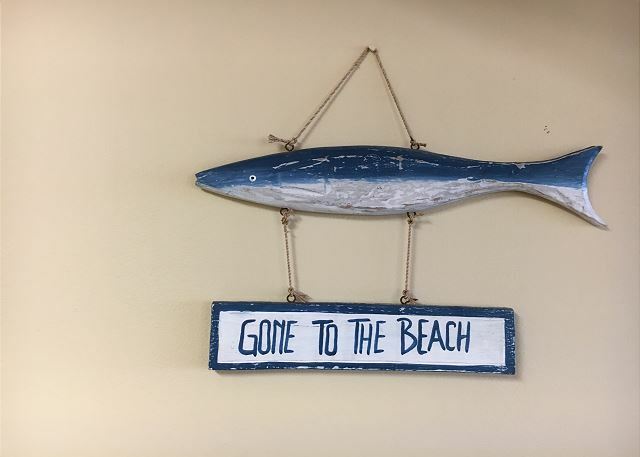 Thank you for staying with Southern Coast Vacations and Palm Dunes 103. We hope that you enjoyed your stay and will come back and visit with us again!